When Alexis of the Shift Creative, shared her vision for the "Over the Moon" themed baby shower she was throwing for her dear friend, we just knew it was going to be a blast to collaborate with her on it! 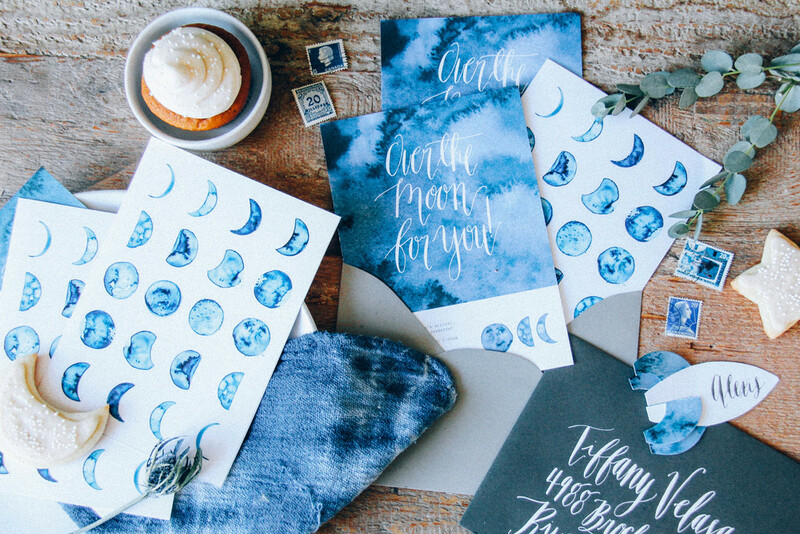 We channeled some cosmic energy to create the watercolor invitations complete with calligraphy & fun moon details! And super darling moon phase charts were the perfect take home gifts for guests to enjoy after the shower! But "wait! "we got to thinking, what's a moon themed shower without rockets?! 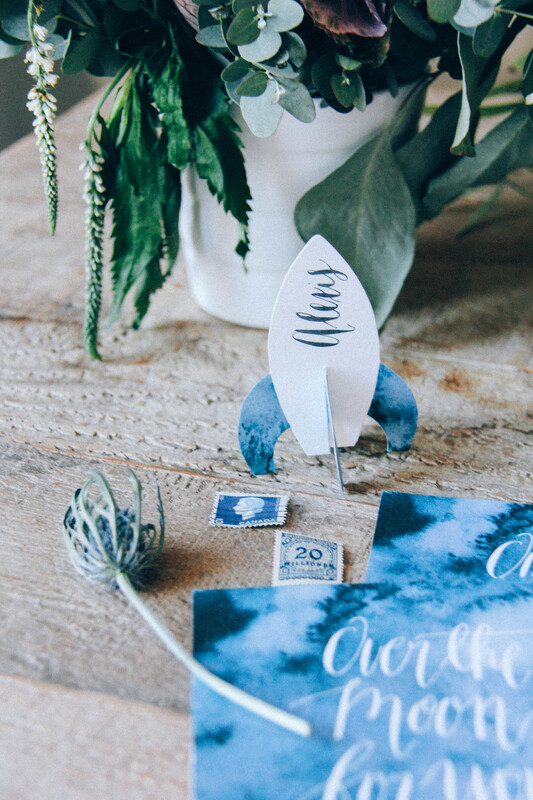 So of course we just had to create custom, tiny, paper rocket name cards for each guest! We just loved being a part of this super cute shower!